Do you really want to receive a dozen roses that will only last a week? Why not ask for a cactus that blooms for you each year? Just go to your nursery and pick out the prettiest. And as for color, you’ll find a good variety. Many of the varieties offer different shapes and heights, while others bloom in hues of white to cream to yellow, pink to red to rose. All of them are easy to water and easy to grow in typical desert temperatures. Another feature that I enjoy is their slow growing nature. You can plant them in a 10″ pot and it will be years before you’ll need to transplant them into a half whiskey barrel or directly into your yard. Many of them can grow for decades, often dropping “babies” or allowing their arms to be cut and replanted for the new generation of cacti. I have a night blooming cereus that is over 40-years-old and has been inside all of its life. “Christmas cactus”, known for blooming in winter with bright red or fuchsia colored pointy blooms, can be more temperamental because they are a tropical cactus. They don’t like their roots too wet or too dry. A trick for forcing their blooms is to place them in a closet for a month prior to the holidays. Once out of the dark, they want to herald in the New Year. Healthy and happy plants will blossom all year. Those combination cactus sampler dishes, that nurseries often place near their check out stands, are a really smart way to try some cactus plantings. Each dish holds a selection of tiny cuttings. if you’re not sure which ones to try, try all of them. They take little water and often produce a few flowers or even double in size during their first year. Some cactus plants for sale at nurseries are not really cactus at all but are succulents with spiky skins. Their interiors are mushy pulp and don’t have the fortitude to make it through a dry, hot desert summer. You can try growing them in a portable pot or inside near a window. Be careful of direct sunlight scorching them through the double- and triple- panes of your windows. I tried that and more succulents and aloe vera plants succumbed to being bleached to death by the sun. It doesn’t take long to broil them in the intense heat. My favorite tropical/ desert species is called the Carrion Plant. It grows large, slim, columnar arms on thin stems that look more like sipping straws. It produces flowers only once a year. The bud is a large yellow pod with purple lines and polka dots but covered in hair. In a few days, the pod bursts open into a giant yellow and purple star with the most horrific odor you’ve ever smelled. This rancid perfume is designed to attract insects — especially the fly that helps propagate its pollen. It smells like dead, rotting meat — hence the name “Carrion” plant. It only takes one visit to a Carrion Plant to instill that smell into the sensory part of your brain. Whew! So there are some of my favorite cacti and plants that make a good gift and have the longevity to last more than a few days or weeks. 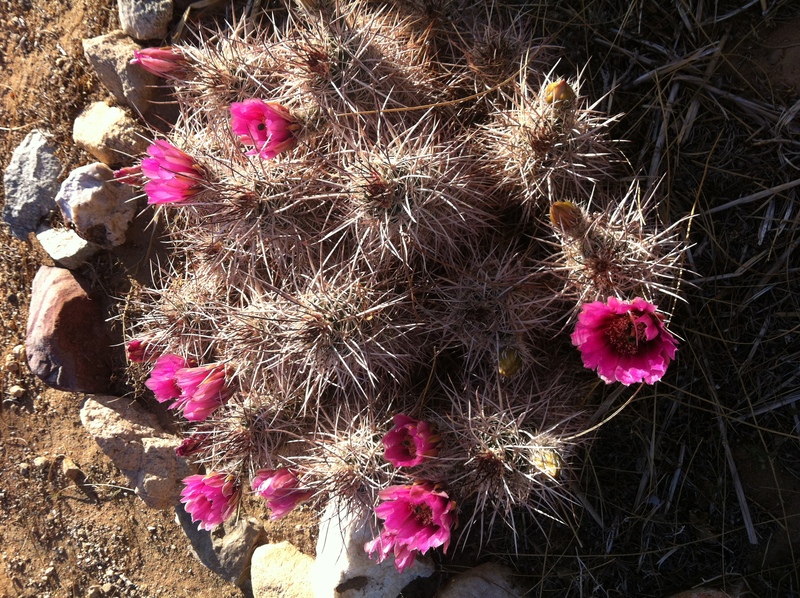 Once you have cacti in your garden, you’ll have a fragrant friend for life.